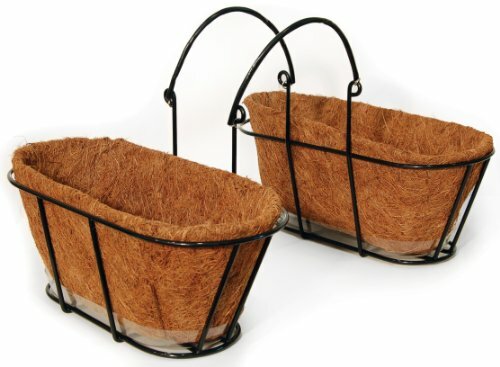 This unique planter pair will dress up any style mailbox with plants and flowers. The coco mat provides insulation and the saucer helps to retain more moisture than standard coco mat products. The flexible coated chain fits any mail box shape. The steel wire is vinyl coated and rust-proof.